When Aeromotive entered the diesel market with their lift pump for Duramax powered GM trucks and there were a LOT of happy GM truck owners after that. Aeromotive has donewhat the Ford guys wanted and released a diesel lift pump designed to work on 2003-2007 6.0L Powerstroke powered rigs. 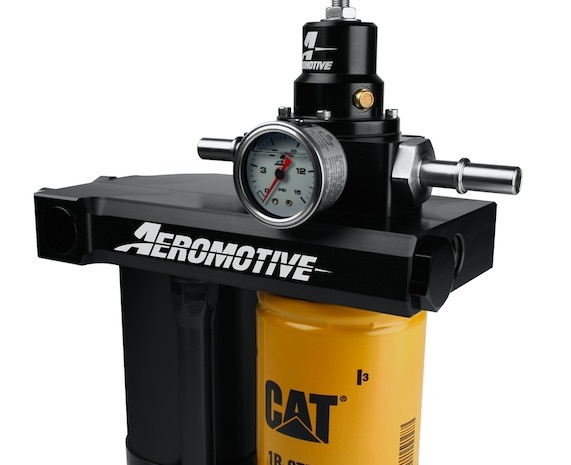 The Aeromotive diesel lift pump is a product that came to market after literally years of R&D work in the engineering department of the company and more importantly in the field with a group of test trucks. This is an innovative design that was created to mitigate and essentially solve some of the shortcomings in other products offered on the market today. A failsafe valve means never being stuck on the side of the road, a flow through design means that there is no shaft seal that can leak, and the list goes on. Lenexa, KS – When Aeromotive introduced their game changing new diesel lift pump for the 01-10 Chevy Duramax and 09-10 Powerstroke, they were able to solve several key issues experienced by diesel owners. Now, with the addition of a diesel lift pump system for 03-07 6.0L Powerstrokes, these owners too can reap the benefits that resolve the ¼ tank issue, the pressure control issue, and motor shaft seal failures. Aeromotive opted for a flow-thru design to solve the shaft seal failure, which means there is no shaft seal to fail or leak. Specific to the Duramax platform is a “fail safe” valve. In the event of failure or a no-run condition, the valve will open and allow fuel to bypass the pump. This allows the vehicle to continue to run and get you to your destination, eliminating tow bills. With a brushless motor design, Aeromotive has increased the performance and longevity you would expect from a diesel lift pump. A single filter model simplifies the design and reduces maintenance cost. 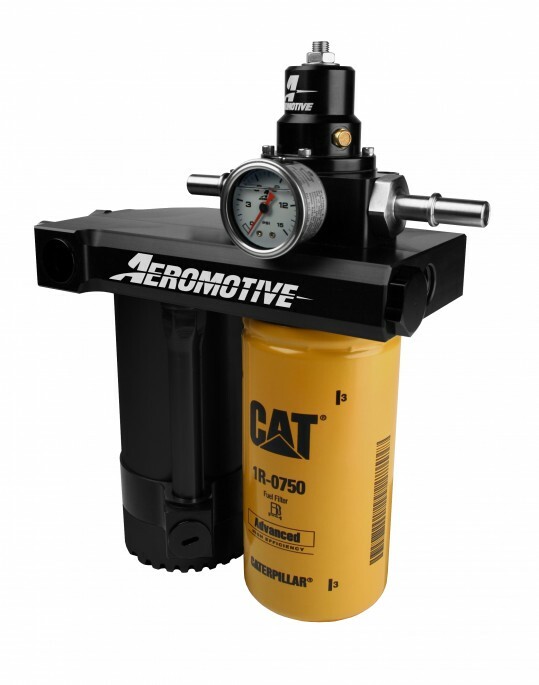 The pump includes the Caterpillar 1R-0750 2-micron filter to catch the smallest particulates. With a standard 1”-14 filter head thread, the end user can use their filter of choice. For more information visit www.aeromotiveinc.com. To speak with one of our highly qualified technicians, call (913) 647-7300. To obtain parts or contingency decals, contact us via phone at 913-647-7300, fax at 913-647-7207, or email at [email protected].